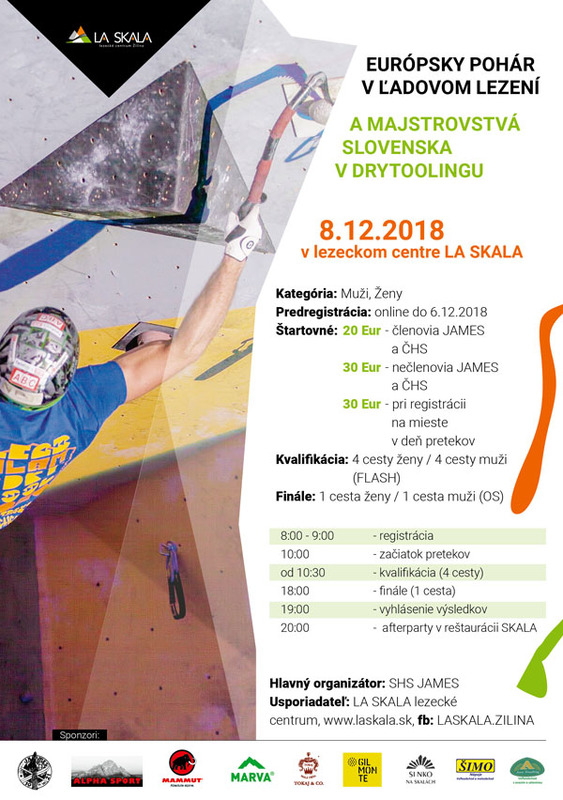 Ice climbing European Cup wil be held December 8th 2018 in Žilina. Four qualification routes of different difficulties for both men and women. Routes will be set for beginners and also for the advanced competitors. Scoring system and rules will be based on UIAA rules and regulations. After the qualification the strongest men and women will join the finals with one ultimate final route. It’s not over after the finals! There’s an after party for you in the bar. Žilina is situated 200 km (north-east) from Bratislava, the capital city of Slovakia. For all the European Cup events please register your intention to compete here.